Dr. O’Brien, MD invites you to experience a new kind of relationship with your doctor, one who provides an evidence-based, holistic-minded, and person-centered approach to medicine and serves as an advocate along your journey toward whole health. We believe the most important thing a doctor can do is listen. Healthcare in our country has, unfortunately, become a big business where decisions about your health are all too often left to for-profit insurance companies. Here, decisions about your health and wellness are yours. Each patient is respected as a unique individual. Together, as partners, we address the root causes of disease in order to heal your mind, body, and spirit rather than simply treat disease symptoms. Before giving up hope that there is a doctor who cares to help you, contact us. 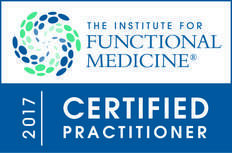 Functional medicine differs greatly from the traditional medicine model as we acknowledge each patient as an individual with unique genetic predispositions, biochemical make-up, environmental exposures, lifestyle choices, social stressors, and spiritual beliefs. There simply isn’t a treatment that will work for every patient with a given set of symptoms. Together we must get to the root of imbalance that is manifesting as illness or disease. Functional medicine recognizes the interconnectedness of the mind, body, and spirit. Treatment addresses all three. In my first visit to Dr. O’Brien she was able to provide a preliminary diagnosis which was later confirmed by the labs and genetic testing. Dr. O’Brien is truly practicing cutting-edge 21st century medicine with her intimate knowledge of how the body functions combined with recent advances in understanding the human genome. I am so thankful that I found Dr. O’Brien. She has truly changed my life for the better. Dr. O’Brien is an amazing listener, which is essential in functional medicine. Instead of trying to treat my symptoms, she got to the root causes of my health problems. I haven’t felt this good in years, and I owe it all to Dr. O’Brien. I’m 24 years old and one year ago I was in the worst shape of my life. I could only exercise for mere minutes before passing out and my joints all ached with arthritis like an old man. Today, one year later I can say that I am 90% better overall and continue to get better and stronger everyday. Ready to start your journey to whole health? We'd love to partner with you! Copyright © Tricia J. O'Brien, MD. All rights reserved.